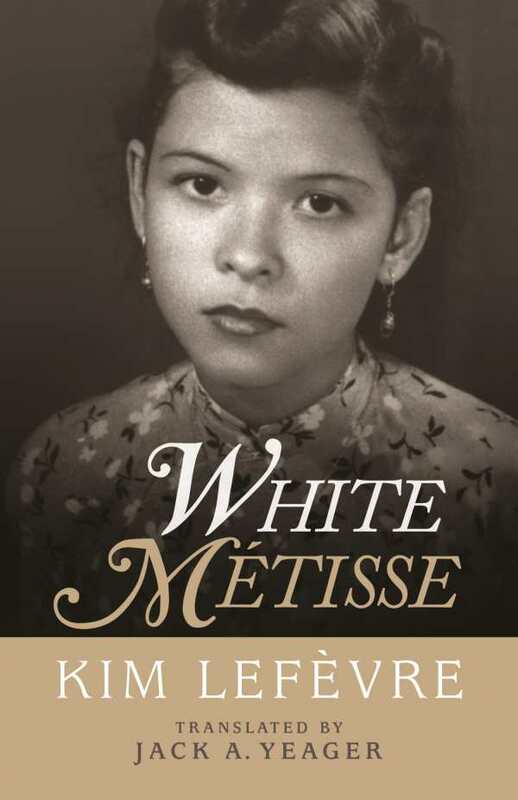 Detailed and devastating, Kim Lefèvre’s intimate memoir White Métisse introduces American audiences to the brutal lived experiences of biracial children in Vietnam during its years as a French colony. In Lefèvre’s intimate story, the scaffold of social mores and prejudice that surrounded her provide insight into the shaming and negating that typified life for métisse girls. In many ways, this story is larger than one person; it’s that of all the young women who fell for French soldiers and were abandoned, of mothers shamed for their mixed-race babies, of wives forced to leave behind evidence of their indiscretion. From farming her daughter out to relatives to abandoning her at an orphanage, Lefèvre’s mother makes painful decisions, and her child is left to try to understand her motivations. The relationship between mother and daughter is strained; each comes to represent a variety of mistakes, negations, and erasures to the other. Lefèvre details the rise and fall of her family’s fortunes, from small towns where children ran through the fields naked for most of their childhood to opulent family homes to luxurious boarding schools to punishing squalor. Constantly moving between being considered too French or too Vietnamese or not enough of one ethnicity, Lefèvre uses the reactions of her peers, her teachers, and most devastatingly, her mother, to show the way her birth made her an outsider in her own country. Prose occasionally borders on reportage but more often articulates a country vying for its own identity even as Lefèvre seeks her own. Vietnam divides into two countries, with the north and the south following separate leaders. Christianity and Buddhism vie for supremacy in the cultural psyche, and as an increasingly educated Lefèvre ages, she too must decide who she will be. Boosted by moments of profound historical change, Lefèvre writes a coming-of-age story both of herself and of her evolving country.